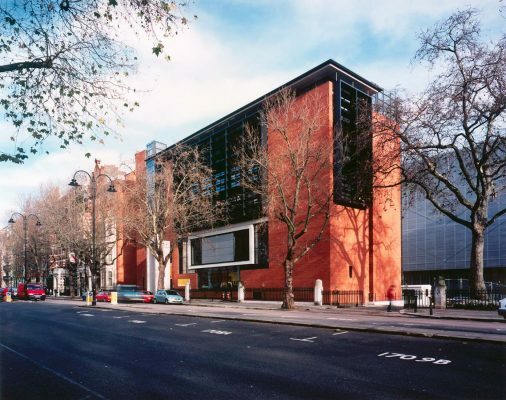 The Wellcome Wolfson Building forms part of the second phase of our competition-winning scheme for the Wellcome Wing extension to the Science Museum. 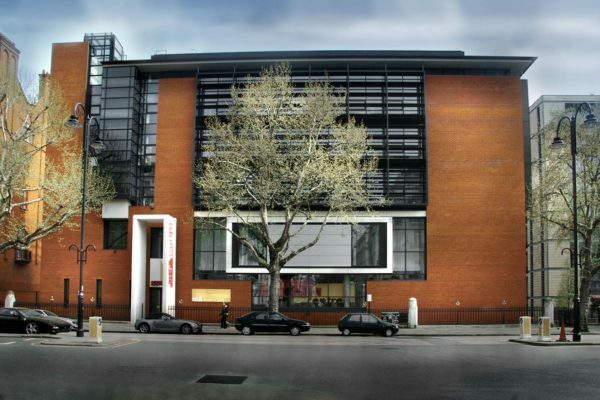 Set behind Grade 1 listed railings, facing on to Queen’s Gate and within the Queen’s Gate conservation area, the building bridges the divide between the institutional museum buildings at one end of the site and the redbrick and stucco residential Victorian terraces of Queen’s Gate at the other. 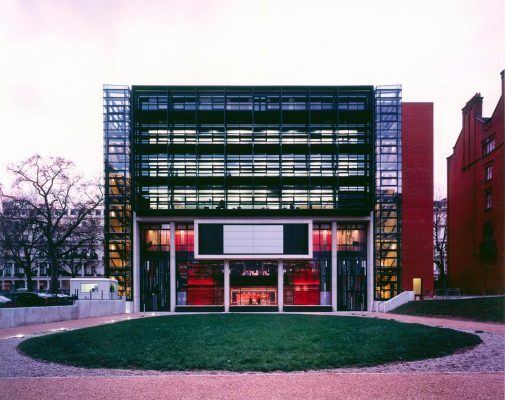 Cool, elegant, stylish… the Wellcome Wolfson Building, offers a much needed break with the past and injects vibrancy and contemporary style into an area dominated by the ideals of the 19th century. Buildings don’t come much cleverer than that. 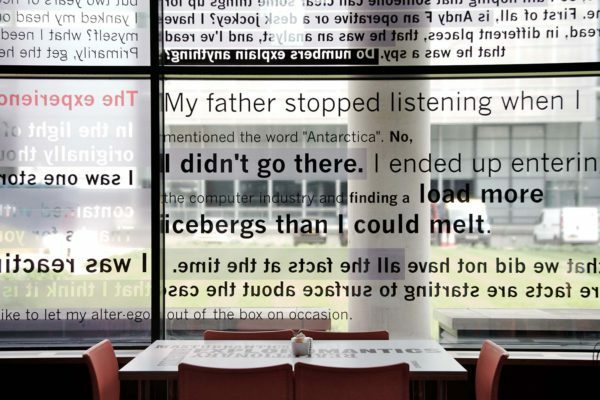 The building houses the Dana Centre, a new public facility for the presentation and discussion of topical scientific issues using traditional and new media. A double height café, 150-seat flexible auditorium, 50-seat seminar room and exhibition area are distributed over the lowest three floors. These are connected by a dramatic triple height space which faces over a new landscaped courtyard. Above this is low-energy office space, with a two-bedroom penthouse flat and private office for the Centre’s director. 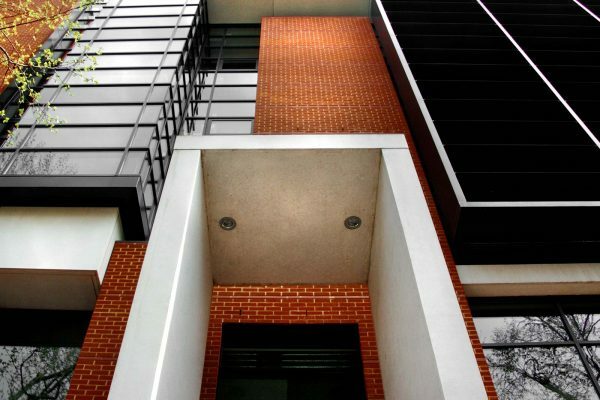 The building’s projecting precast concrete features echo the stone bays and porticos of the terrace to its north, while the red stock brick used on the Queen’s Gate façade is a perfect match with the existing terrace. The south elevation forms a new gable to end the terrace and formally addresses the courtyard to the south. 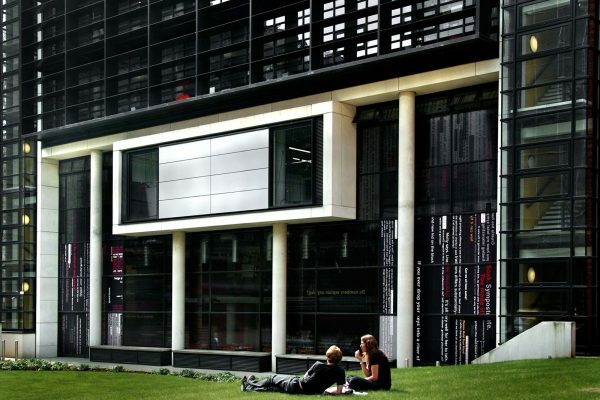 Viewed from the courtyard, the building takes on a very different character as it responds to the institutional context of this end of the site. 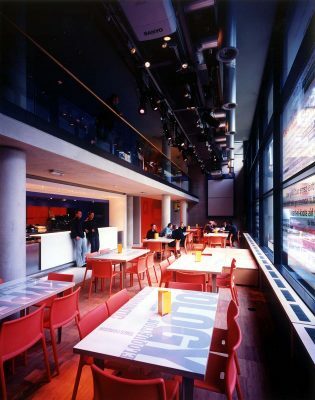 The glass, aluminium and concrete of the Dana Centre predominate over brick, and the auditorium, expressed as a suspended concrete box, is set below a four-storey aluminium brise soleil bookended by two brightly coloured and glazed stairways. The interior features exposed concrete columns and ceiling. This is combined with an air displacement system, effective reduction of solar gain and good natural lighting to reduce energy use and carbon emissions by 20%. Provision is also made for grey water recycling.